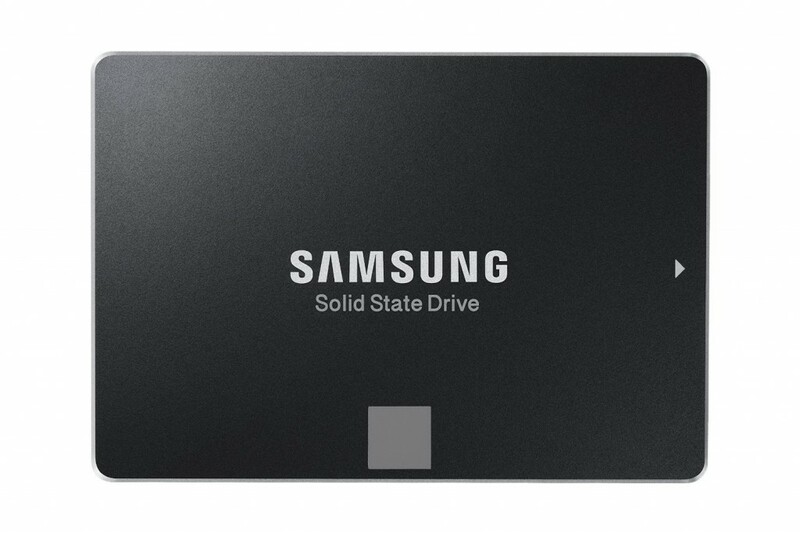 » Product Reviews » How Much Faster Is A SSD Compared To A HDD? So many people have been asking me lately about SSDs and really how much faster they are in comparison to a normal hard drive. I’ve experienced both of them! When it comes to booting up your operating system and getting the fastest load times in your games, SSDs are definitely the way to go. When it comes to saving money for extra storage, HDDs are the way to go. It really comes down to how much you’re willing to pay and how badly you want some super fast boot times when you press the power button on your PC. From the time you press the power button to being able to be logged into Windows – that’s the main difference between getting a SSD over a HDD. I have a 500GB SSD on my current build and it was 100% worth the investment. Granted I was able to pick it up on the Black Friday sale for about $119.99 while it usually runs about $150-$170… I would still pay the full price if I really had to. The boot time as compared to how I had my old build with Windows installed on a HDD is such a huge difference, I asked myself why I didn’t have on in the first place when I built my first build. I literally click the power button, I see the Windows 10 loading screen for about 2-3 seconds and then I’m right into logging into my account. After logging in, it takes maybe 10-20 seconds to load my initial programs like my anti-virus, Steam, etc. With my old build I would turn my computer on, go do something else for a bit and come back with it still loading my initial programs. It would take more than a couple of minutes. For the most part, most of the builds that I share here don’t include a SSD because I’m all about getting the highest quality gaming experience for the lowest price possible. No, not with cheap low quality parts. With parts that will give you the luxury of high textures and smooth frame rates. That’s what I’m all about. SSDs don’t affect gaming performance, they affect load times. I’d recommend installing your most played multiplayer games and maybe one or two of your favorite single player games to the SSD. For example, I have Rainbow Six: Siege installed on my SSD and I’m able to load faster than most other players which results in me getting first dibs on choosing my favorite operator. Things like that will happen if you have multiplayer games installed on the SSD instead of the HDD. A SSD shouldn’t be the only drive that you have in your PC. Yes, you should definitely have one but what’re you going to do when you run out of space? If you’re like me during Steam sales then you’re going to be having over 100 games in your Steam library, you’ll want most if not all of those games installed on your PC. That’s why I always recommend going with a 1TB hard drive. It’s the least amount of dollars spent per megabyte and it gives you enough room to be able to get most games on it. I have most of my single player games installed on my HDD because load times aren’t really that big of a deal to me when it comes to them. Now for a game like Fallout 4, one that I consistently play, I have it on the SSD. But when it comes to Just Cause 3, a game that I play here and there, it’s on the HDD. It really comes down to your priorities when you’re wanting certain games installed on certain drives. Which SSD Should You Choose? There are many different brands out there when it comes to being in the market for a SSD. I’m using one my Crucial and it’s doing very well for me. The only reason I picked it up is because I was able to pick it up on the Black Friday sale otherwise, personally, I would have gotten one by Samsung. No not because I’m not happy with the one that I have, as I said it’s performing very well and it’s doing what you’d expect a SSD to do. But in my thorough research I’ve come to find that, when it comes down to raw performance, Samsung is the winner. Click below if you want to check it out, if you can afford the 500GB version then I’d highly recommend that you do so for the extra room! But, if you aren’t able to fit the 500GB version into your budget then you’ll want to go with at least a 250GB or even a 120GB one instead. If you need to do that then I’d recommend going with a different brand because they’re all at a considerably lower price point than what Samsung offers for the lower storage options. 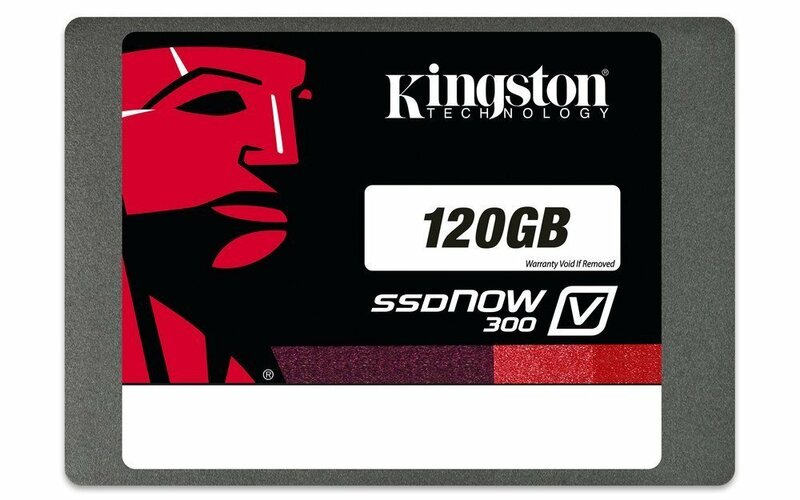 When it comes to the lower storage options, Kingston is the lowest price point while still keeping the quality in tact. As you can tell from the thousands of reviews, they make them where they’ll stand the test of time for sure. Don’t bother even looking at a 60GB version. It’s literally only a couple of bucks cheaper than the 120GB version and 60GB is not going to get you anywhere in comparison. Why not get double of that storage for about $2 more..? What Do You Have In Your Build? When it comes down to it, a SSD is pretty spendy but, in my opinion, is definitely worth the extra investment strictly because of the huge difference in boot times. I love clicking the power button and being able to use my PC virtually right away. It’s also awesome to not have to wait for the loading screens in Fallout 4! So, are you using a SSD in your build? It’s pretty fast, isn’t it? 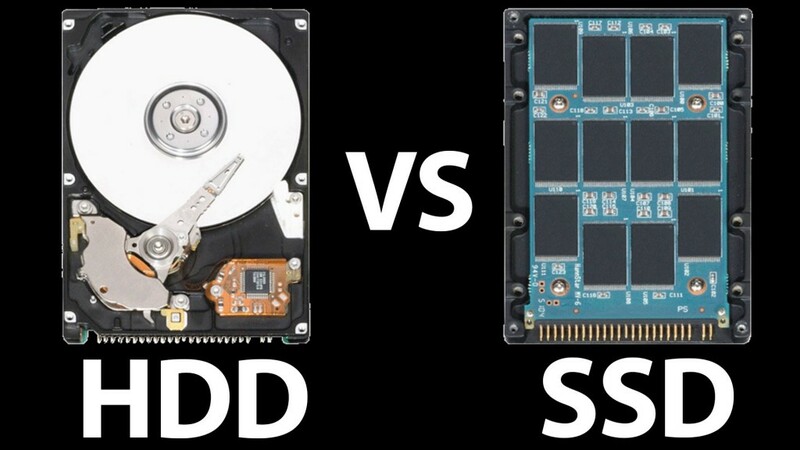 Tagged solid state drives, ssd vs hdd. Bookmark the permalink. 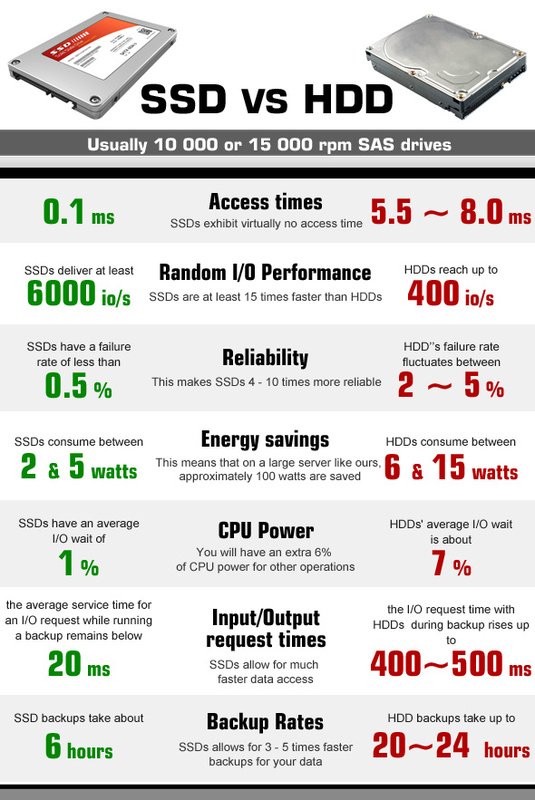 5 Responses to How Much Faster Is A SSD Compared To A HDD? 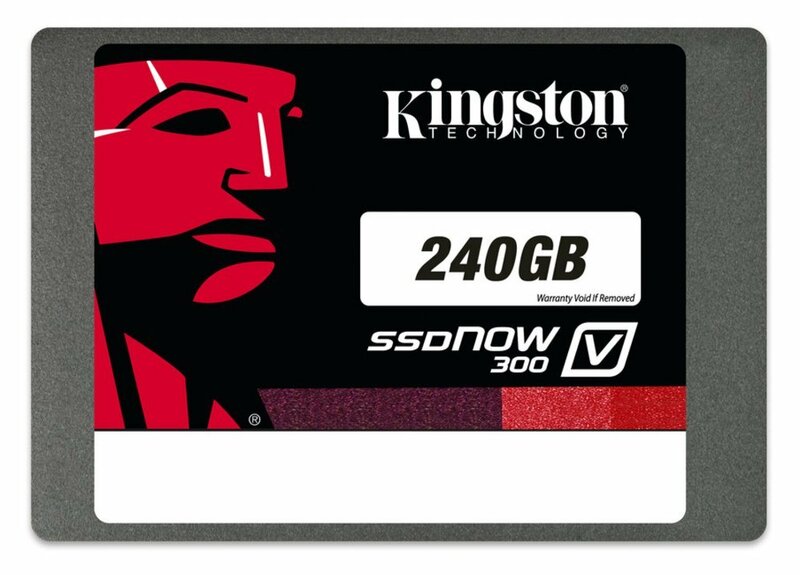 I’m definitely going with an SSD in my build, the faster load times for my most played games and OS sounds really nice for the $60 or so for 240 GB’s worth. Right on, then you might want to consider adding a HDD down the road whenever you need the extra room since games these days take up quite a bit of space! The boot time difference and load time difference in games makes it worth it. Hi Colton, I have a 1TB HDD with about 100gb free. If I were to install a 500gb SSD, how would I go about switching my OS (I assume that’s how it works, all the required Windows files booting from the SSD instead of the HDD, right?) from my HDD to my SSD? Would I have to use the Windows disc? Because I’m not sure if I still know where that is, lol. You shouldn’t have to reinstall Windows that way!